Friday Frolics - How Much Structure Do You Need? Everyone needs some kind of structure in life. For some, maybe less, a lot less? Take this week's quiz to find out a wee bit more about yourself. On a side note, KL is a little hazy today. It's been very hot and humid lately. Maybe taking the cue that it's summer in the Northern Hemisphere. Fortunately, no heatstroke victim here unlike in Pakistan where hundreds have succumbed to the heat. In fact, you prefer life to be a little chaotic. Things get boring when they're predictable! You like to shake things up as much as possible. Routine makes you feel like you're trapped in your life. You hate rules, schedules, and plans. You feel like life is much better when you're able to be spontaneous. You've been known to purposely break a rule from time to time. It's fun to life on the edge! Last week's quiz: What Makes You Well-Rounded? Friday frolics - What Makes You Well Rounded? What makes you well-rounded is this week's personality quiz. Take the quiz to find out. You're the type of person who gives everyone the benefit of the doubt, including yourself. Even if things don't seem like they're going to work out, you hold out hope. Sometimes life surprises you. You tend to hold on to a neutral point of view without having expectations. You like to wait and see. You are a cheerful person without being intense about it. You are mellow and relaxed whenever possible. You find a lot of contentment in accepting the present moment. You're good at smoothing out ups and downs. You like to bask in whatever good is happening and ignore the bad. You love to relax and let go. Friday Frolics - Deep Down, Who Are You? Yeah, deep down, who are you? Find out in this week's personality quiz. You are a creator of sorts, but you are also a reframer and remixer. You see art everywhere. You are a great appreciator of traditional beauty, but you also appreciate art that's a bit more obscure. You love things that are different, even if they are an acquired taste. You don't think of art as purely hedonic. You like to see the world from a new perspective, and art gives you that - even if that perspective is your own. This week's personality quiz is an easy one. Take the quiz to find out a wee bit more about yourself and be a little surprised by it perhaps. I wish you a lovely day today - afterall it is Friday, right? You are highly effective in all areas of your life. You like to take on new challenges. You are competent and capable. Your work is consistently high quality. You are gentle and benevolent. Life is hard, so you're easy on people. Here is last week's quiz in case you missed it.. 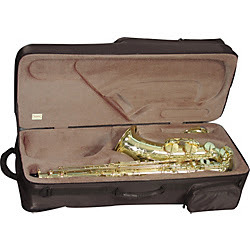 If you own a Tenor Saxophone or other related instrument, here's a site you may want to check out. It has a wide selection of tenor saxophone cases and Gig Bags with prices to suit any budget. Many brands are available. The site is easy to navigate. You can view products by a number of options including feature, price range, rating, capacity, case or bag type, color, primary material and so forth. Incredible bargains are also available on their Clearance Center so you might want to check that out as well. Free gifts are ready to be given away with purchase of selected items. Another section to check out is their Used (pre-loved) section. You'd be amazed at what's available here! If you are a music teacher or in the area of music education, their Educator section may interest you. Whether you're looking to order a box of clarinet reeds, a pack of music stands, a new saxophone or an entire drumline, we're here to help you make the best decisions and save you money on your music classroom or program needs. With experience serving music educators since 1978, they remain committed to every client, so you can focus on teaching students the joy of music. We don't have the four seasons per se here in Malaysia but every spring in the northern hemisphere we do get lovely blooms on trees all over the country. 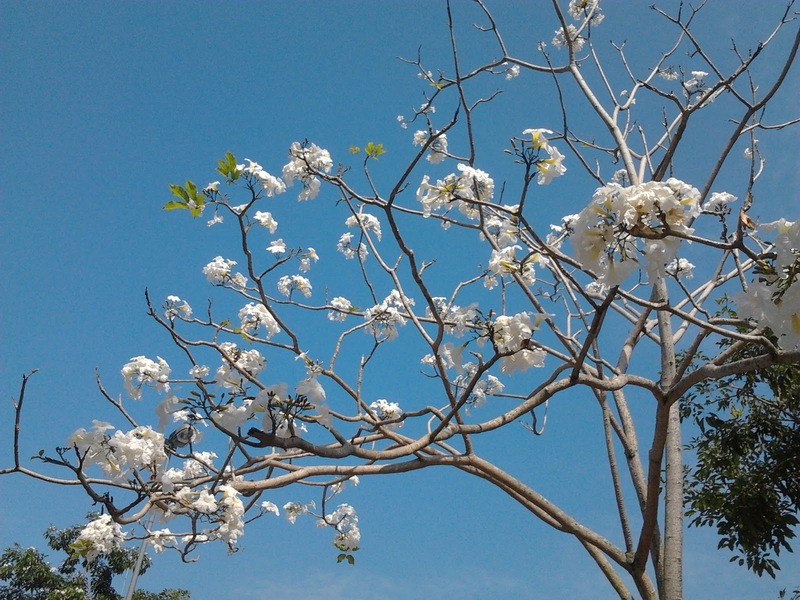 This picture was taken last month - lovely white flowers against an oh-so-blue sky. Speaking about the weather, it's been pretty erratic here of late. We can get bright sunshine and blue skies in the morning and then a heavy thunderstorm hours later. The plus side, no haze (yet) but soon when the planting season begins in another three months or so, then we (and the region) will be battling it again. Sigh..